Tokyo, Japan, 12 October, 2017 — Teijin Limited announced today that it has developed a cooling vest that protects firefighters with unprecedented heat-resistance, flame-retardance and body-heat reduction, including through the use of small electric fans. Teijin will unveil the cooling vest at a booth (Hall 9, Booth A39) during A+A 2017, the world’s largest international trade forum for work-related safety and health, which will take place at Messe Dusseldorf in Germany from October 17. 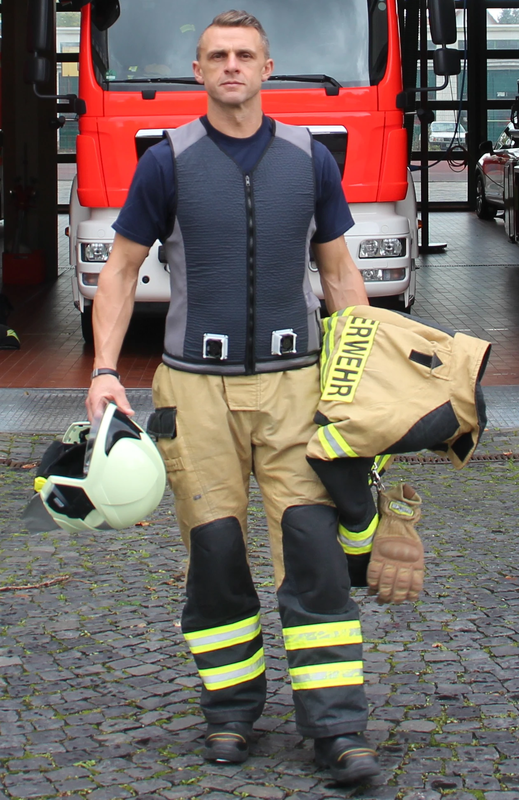 Teijin will start selling its cooling vest in the European protective apparel market from spring 2018, working in collaboration with LHD Group Deutschland GmbH, a leading provider in the management of professional and protective clothing, through the final measurements in functions such as comfort, fabrication and cooling. 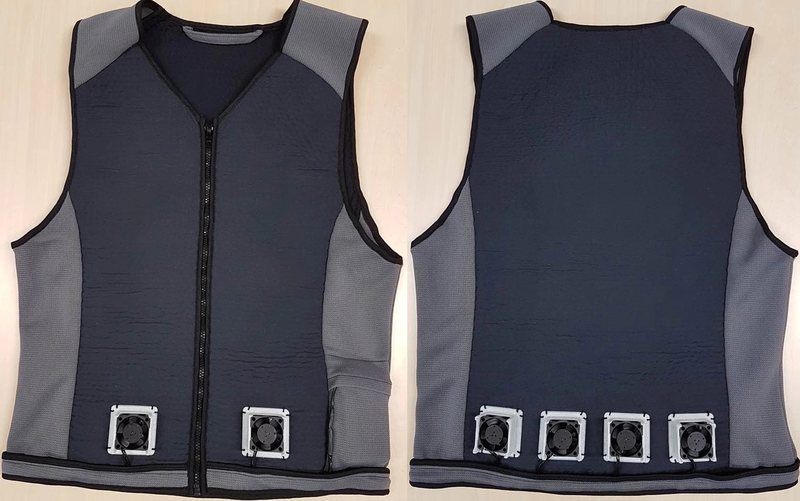 In the future, Teijin plan to incorporate the cooling vest in its new smart protective system (SPS), which Teijin has recently developed, as a total safety solution to prevent the risk of heat strokes. The Teijin Group is strengthening its leading position in protective apparel market, putting forward new solution lineups and will accelerate its business development for safety/security/disaster mitigation solutions, one of the core priority fields in the medium-term management plan for 2017-2019. The cooling vest effectively reduces body temperature and heart rate through sweat absorption, quick drying and moisture permeability. The electric fans pull in outside air for up to eight hours. Conventional flame-retardant protective clothing for firefighters tends to trap body heat, raising the risk of heat stroke, particularly in the summer. The cooling vest helps firefighters maintain performance and energy levels while fighting fires, as well as benefit from high levels of comfort and flexibility. The outermost of three fabric layers is made with Teijin’s Teijinconex®, a heat-resistant, flame-retardant meta-aramid fiber. The middle and innermost layers are made with high-functional polyester fabrics for sweat absorption, quick drying and moisture permeability. Over the decades, Teijin’s durable, heat-resistant and flame-retardant aramid fibers have provided firefighters, police and military with increasingly high-performance clothing for added protection and safety.